One of the major winners in the West Noble art show was Stephanie Cripe, right, a senior at West Noble. She won first, second and third prizes for her paintings. 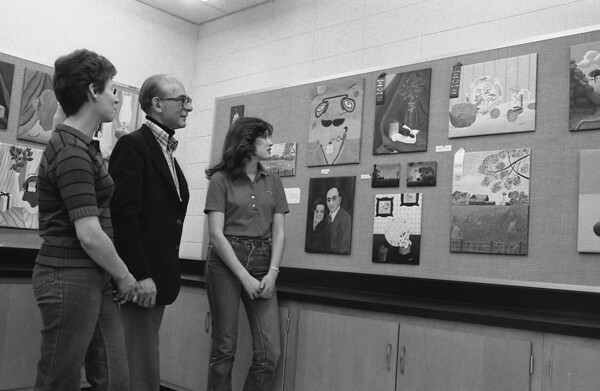 Shown with her are her mother, Mrs. Ray Cripe, and Josef L. Norris, West Noble art teacher.